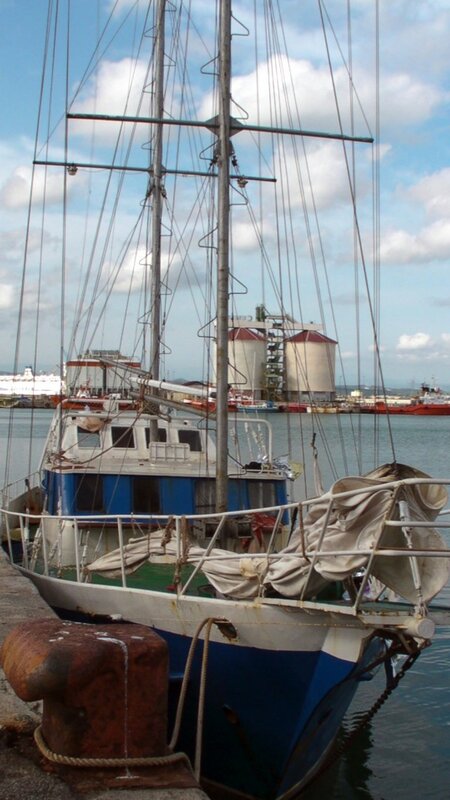 Italian authorities intercepted the eight-meter sailboat on Tuesday off the Ionian coast near Crotone. The 71 migrants on board, including two suspected smugglers from Eastern Europe, had spent four days at sea. An Italian police patrol intercepted the boat carrying 71 migrants off the Punta Alice promontory in the southern town of Crotone, in the Ionian Sea. The Kurds and Iraqis on board, including eight women and 15 children, had departed from Turkey four days earlier. All arrived in good health, disembarking at the Port of Crotone. Authorities said they suspected two men on the boat were human smugglers. The men had Ukrainian passports, they said. The use of sailboats, as well as the presence of Eastern European citizens as skippers - a method that has been seen for months on the alternative route to the Strait of Sicily - has led authorities to believe that an international organisation that branches into Eastern Europe is behind the people smuggling. 15 children were among the migrants who arrived at the Crotone port. Volunteers from Misericordia organized an improvised game to help them unwind as they waited to be transferred to the migrant reception center in the town of Isola di Capo Rizzuto. Tuesday's arrival was at least the third sailboat to take the route from Turkey and Greece to Calabrian shores. In the two days of June 13 and 14, two boats flying US flags arrived, one in the Port of Crotone and the other at the Le Castella port in Isola di Capo Rizzuto. Four men - three Ukrainians and a Syrian - were arrested for suspected migrant smuggling.